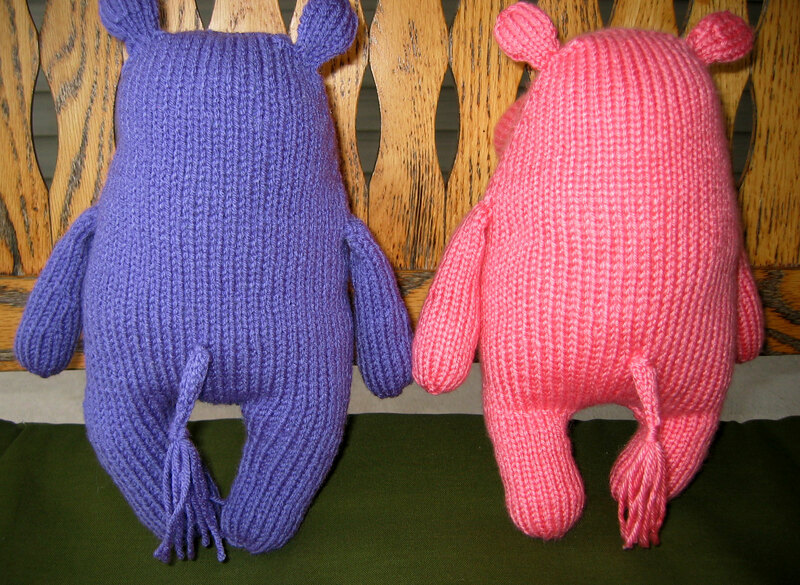 These are the newest additions to our knitting family. 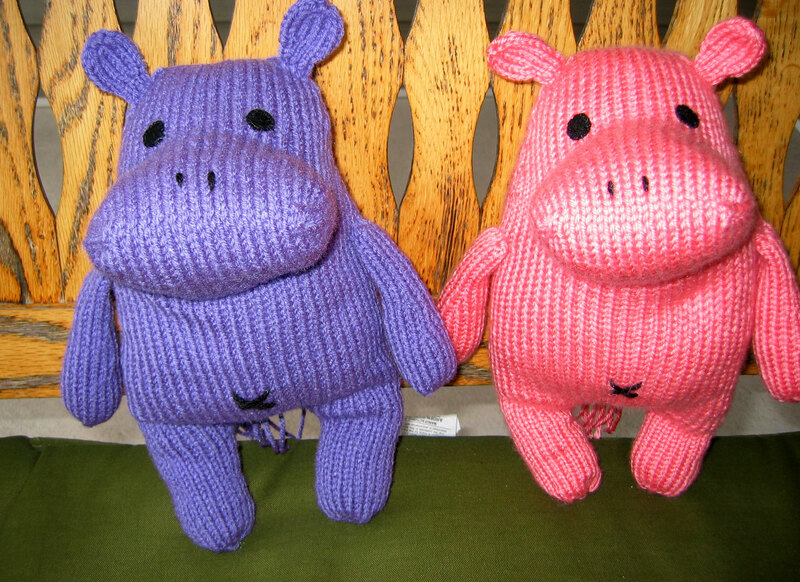 Rebecca Danger’s Harriet the Haberdashery Hippo pattern in the 2011 Fall issue of Knit Simple. Black felt for the eyes. I just love the tails. If everything goes according to plan, they should have a sister in Caron Simply Soft Orchid very, very soon. They are adorable. Nice shades.